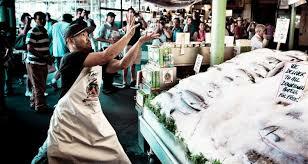 Seattle is famous for tossing Salmon fish from monger to monger. 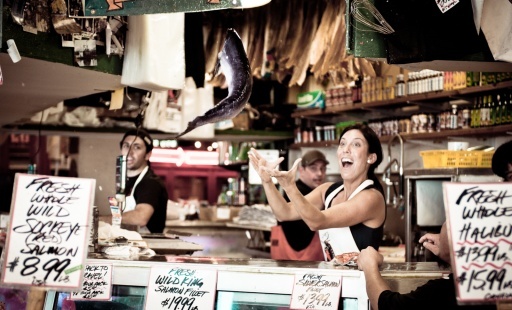 Seattle’s Pike’s Market And Tossing The Fish! 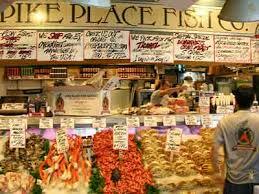 Smoked Salmon from Pike’s Market…Seattle! I have always liked salmon. Years later, …I discovered smoked salmon and I really do love it! I made a fresh Smoked Salmon Dip last week…which is adapted from a recipe I found in Seattle years ago. And you can’t get fresher smoked salmon than from Pike Place Fish Company in downtown Seattle, altho I used the salmon from my local fish monger! 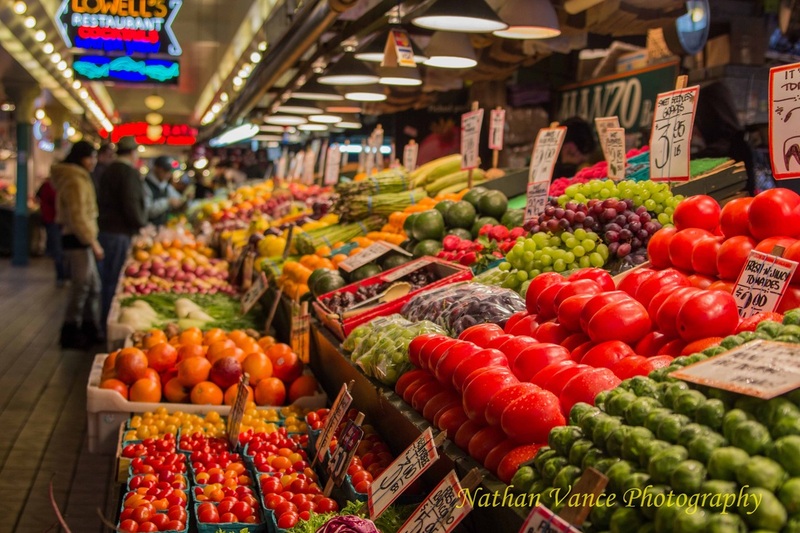 I really do miss Seattle’s Public Market Center! 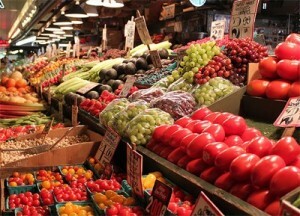 OK, and I miss Pike’s Market. When we lived in Seattle….the Captain and I would go down town on many a Saturday morning. We would stop off and have fresh blueberry bagels and coffee at one of our favorite little outdoor restaurants. And then….we would walk the market enjoying all the fresh produce and fish. Of course we enjoyed the fish tossing! It is really simple….the fish monger would stroll around in front of his fish..trying to entice a customer to buy a fish. When the customer chose a fish…the fish monger would toss that same fish to another fish monger behind the counter…who would then wrap it up for the customer. Of course, the monger could have carried the fish to the back of the glass cabinets…..but they really enjoyed putting on a show! 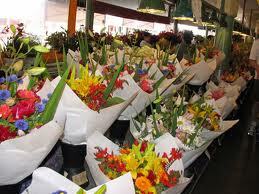 There was always beautiful produce….and I filled my wicker basket full each time we went. ……especially the tulips, when they were “in season”. 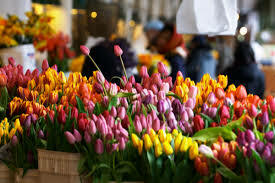 The tulips were usually from Skagit County which is a little North of Seattle. 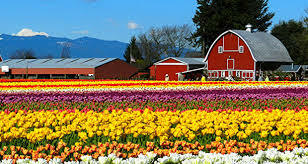 The Captain and I loved to visit these tulip fields in the early spring. There were fields and fields of tulips in Skagit county and they were just beautiful. 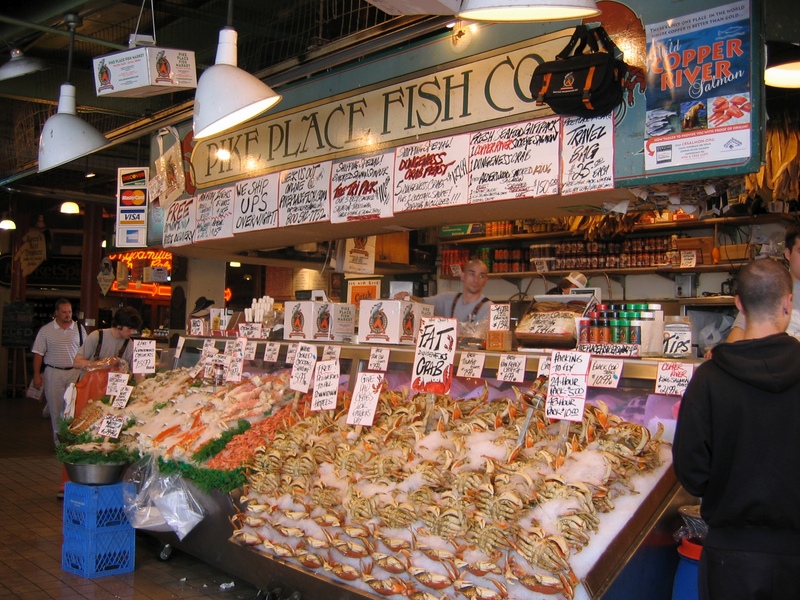 While living in Seattle…our families knew that their Christmas presents would be fish from Pike’s Place Fish Market. Delivered fresh to their door. We would order the fish/shrimp/lobster at the counter (or on-line) and it would be sent, boxed with dry ice…directly to their doors in the Midwest! Please excuse these pics as they were taken in my early blogging days and now I want to talk smoked salmon dip. I am attaching the smoked salmon dip recipe which I adapted from a recipe I found in Seattle years ago…at one of the supermarkets. I believe it was Safeway…believe it or not! The original recipe called for mayonnaise, but I use Miracle Whip…it gives a little bit of sweetness. I think you will love this quick and easy dip. I serve this dip (or a variation of) at our Christmas Open House each year and I am always asked for the recipe. Sometimes, the thought of capers will cause some to want to think twice…I believe they add to the flavor, but you can certainly omit them if desired. You can find smoked salmon anywhere these days…add this dip to your recipe box! This dip is so versatile, many substitutions can be made. Crab meat for salmon...parsley for dill. This dip is always at my Christmas Open House, but can be enjoyed anytime. Using your food processor, combine the mayonnaise, cream cheese, capers, red onion, lemon juice, horseradish. Add 2 ounces of the smoked salmon and process until smooth which will take about 20 seconds. You can either leave the dip in the mixing bowl or transfer it to a pretty dipping bowl and top with the fresh dill. Fresh parsley can be substituted for the fresh dill, altho I really like the dill flavor paired with the salmon. You could also substitute the crab for the salmon. Serve with Pita Chips or Pretzel Chips for a really good appetizer. « Nautical Tablescape With Mahi Mahi Baked Tacos Recipe! Your blog today sure did bring back wonderful memories from our Seattle days! Really miss that beautiful city! I truly enjoy your blogs every day and forward them to so many friends.